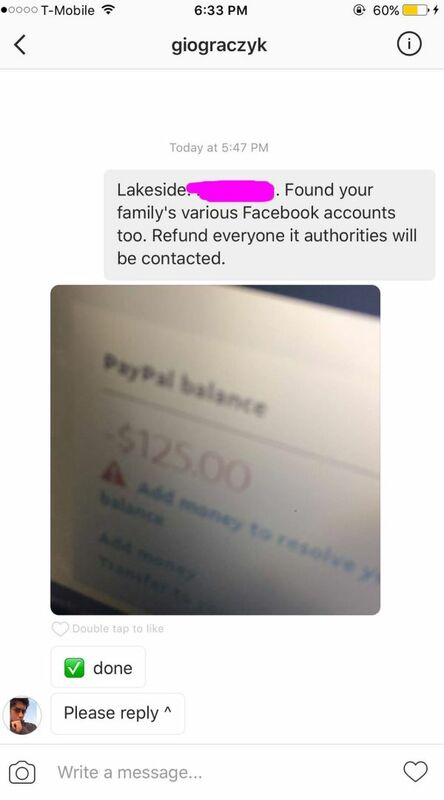 This Instagrammer tried to scam people for all the wrong reasons, but eventually his little scam blew up in his face. My friend tried to buy the multicolor BAPE hoodie on the bottom row. 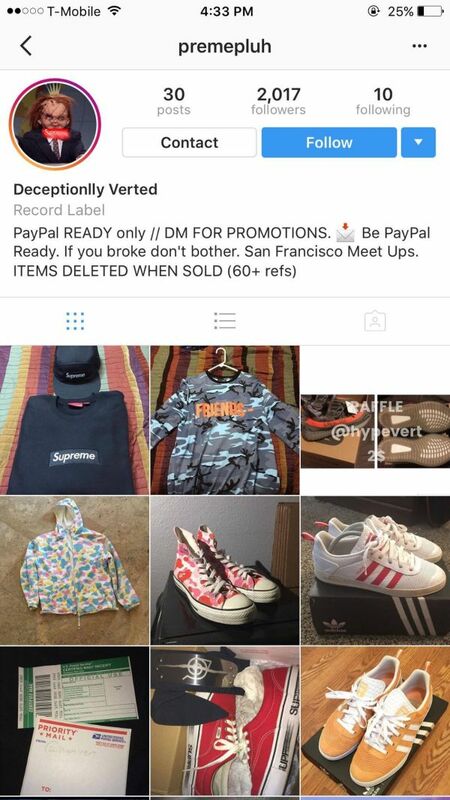 Once payment went through, they blocked his account and reposted the hoodie for sale. Scummy. 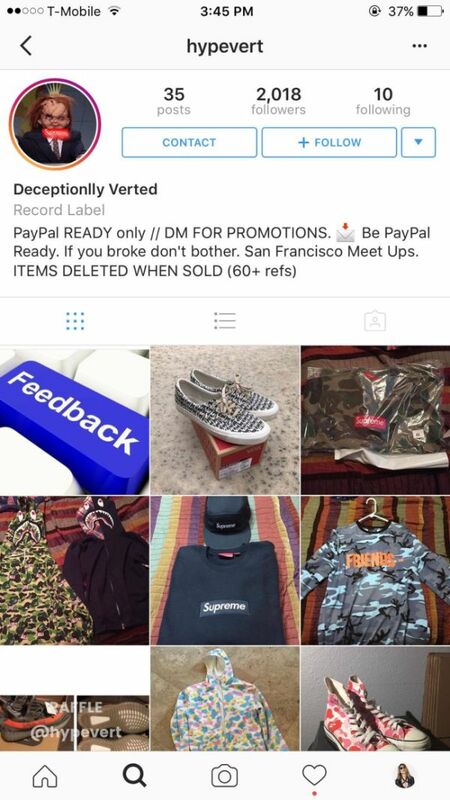 He stupidly posted his Soundcloud on his "scam" IG telling people to follow it. So upon further research of his soundcloud, I found his name was "Gucci Gio". Well Gio just so happened to comment on the "scam" IG pretending to be a happy customer. Stupid Gio. My following is a pretty OK amount so my followers blew up his page and reported him. He then changed his IG name hoping I wouldnt find him again. I did. 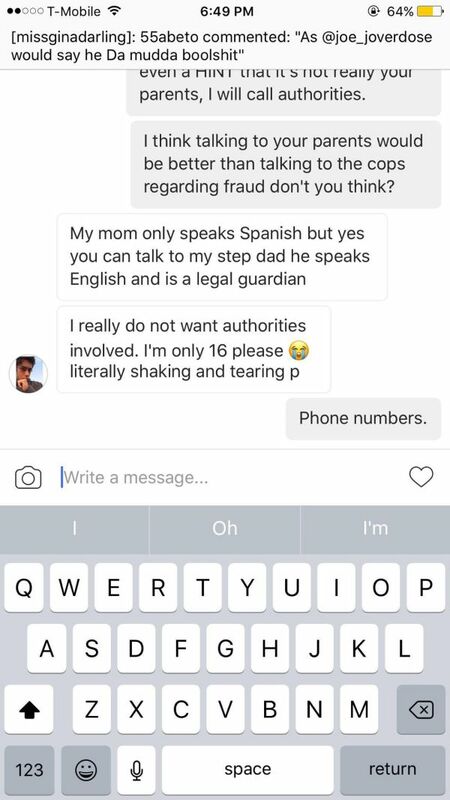 Then, either Instagram shut him down due to the reports or he shut it down due to the surge of "SCAMMER" comments. His friend hopped on to my IG post about him pretending to be a happy customer. But upon looking at his profile, it said that he was the same age and lived in the same city as Gio. Upon finding Gio's facebook, I also found Alex on his friends list. He deleted his comment after I responded. Set your sh*t to private, people. Come on. I decided to message the kid with his city and school info (which was public on his FB). 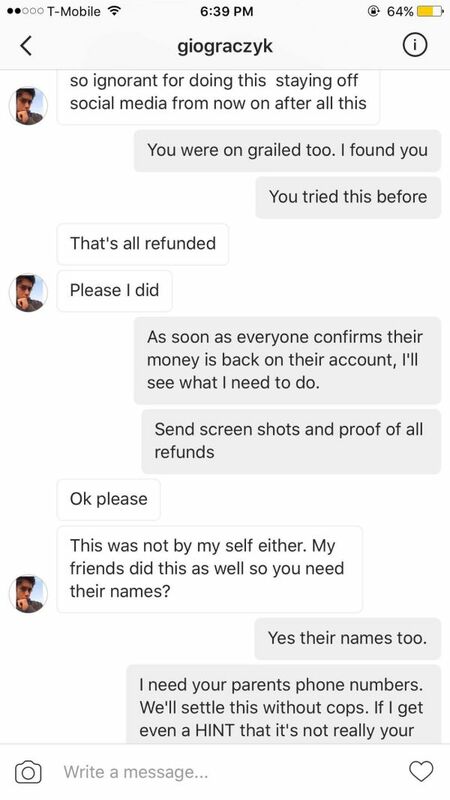 But the screenshot didnt prove a refund went through and my friend still didnt get his money back. Gio would not do well in prison. (sorry about the notification on top) I didn't want to go to the cops or his school counselors. Look, I know kids make dumb mistakes. I also think they really need to learn their lessons. So I asked to be put in contact with his parents. 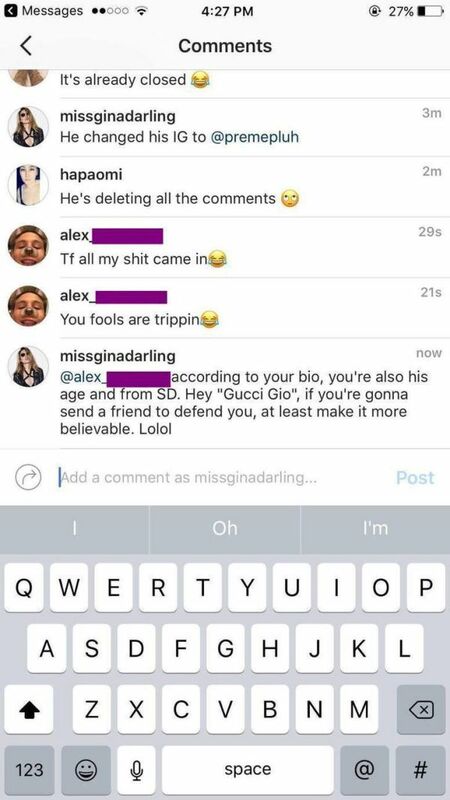 His buddy Alex (from the IG comments) tried to remedy the situation but after some dilly dallying around, I told them that its either his parents or the cops. I think they made the right decision. Cops are a pain to deal with. I gave his dad a call the next morning to tell him what was going on. I do believe it was his dad. Can't fake a grown man's "dad" voice that well. He really sounded like a nice man and was of course pissed when everything was explained. 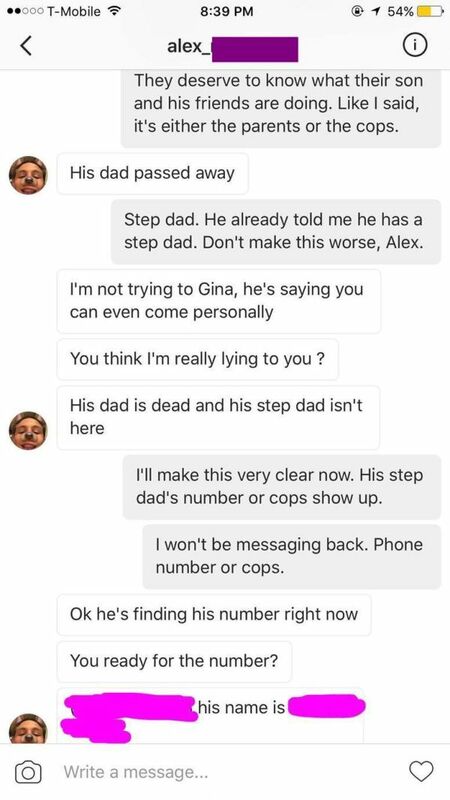 Im sure it was his dad too and not some other kid pretending. He apologized profusely and promised to monitor his kid's internet use. I texted him after to make sure he has my number. 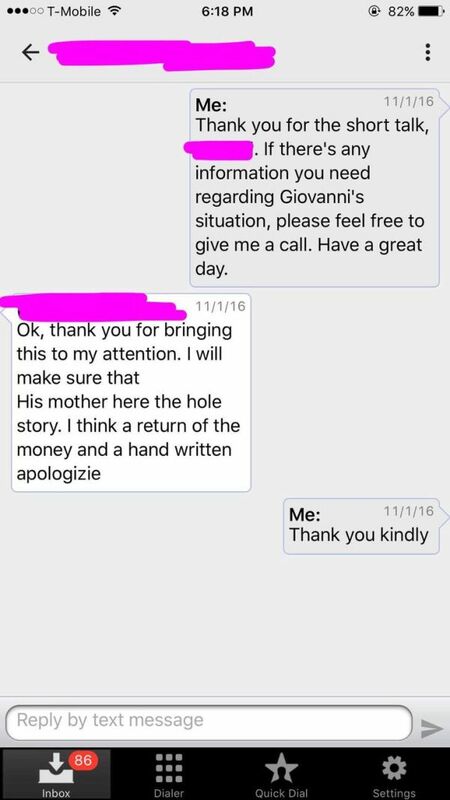 Since then, the money was refunded to my buddy and I hope Gio learned his lesson. The end!